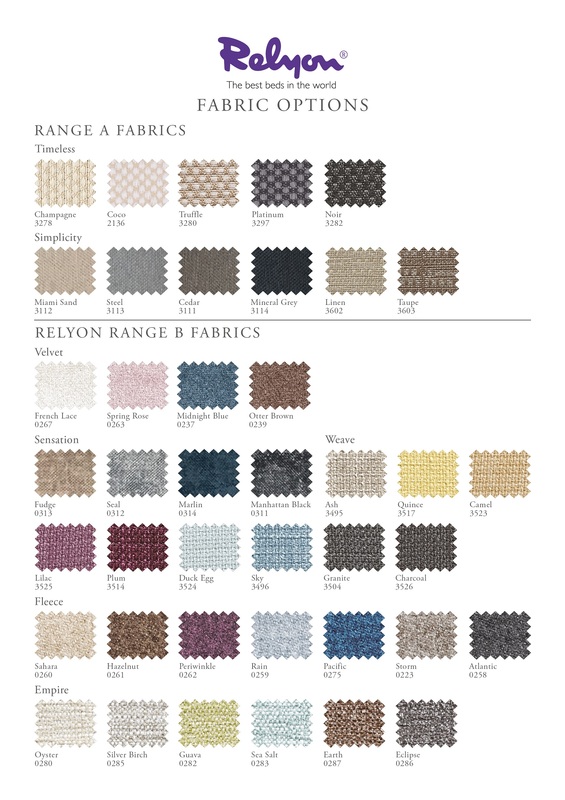 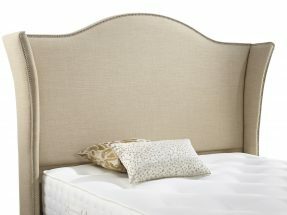 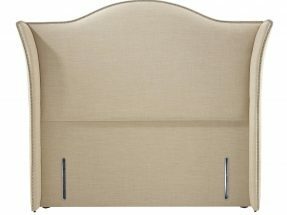 The Relyon Regal headboard is an elegant winged upholstered headboard. 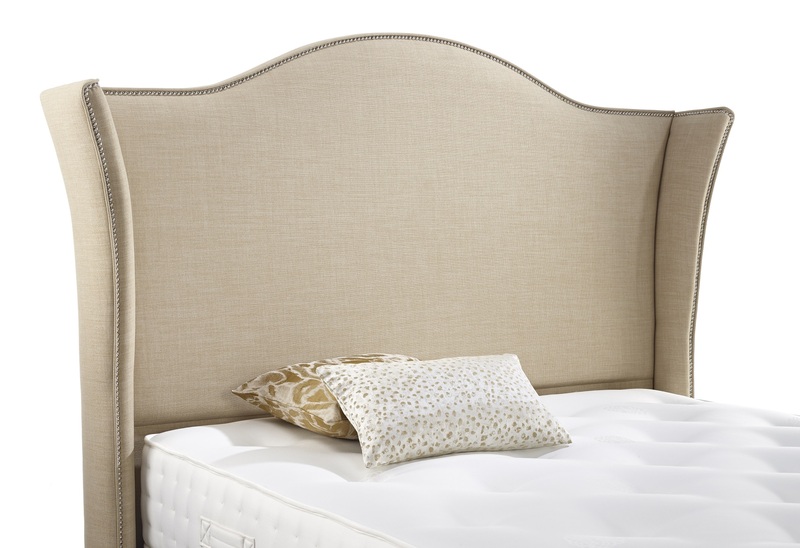 The Relyon Regal headboard is an elegant winged headboard with an upper arch shape, finished with silver studs around the edges. 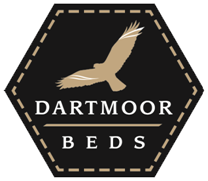 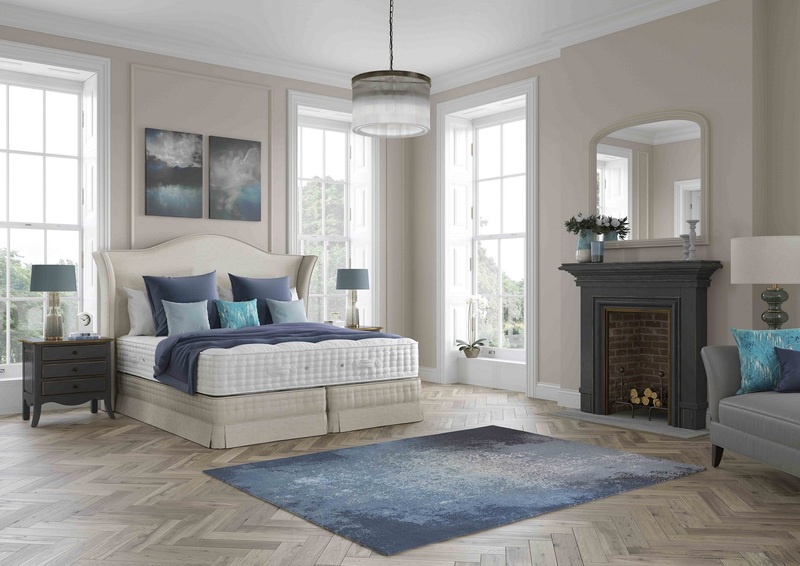 It is a floor-standing winged headboard (which means that the total width of the bed is the bed width +25cm) with integrated slots to facilitate fixing to your divan base. 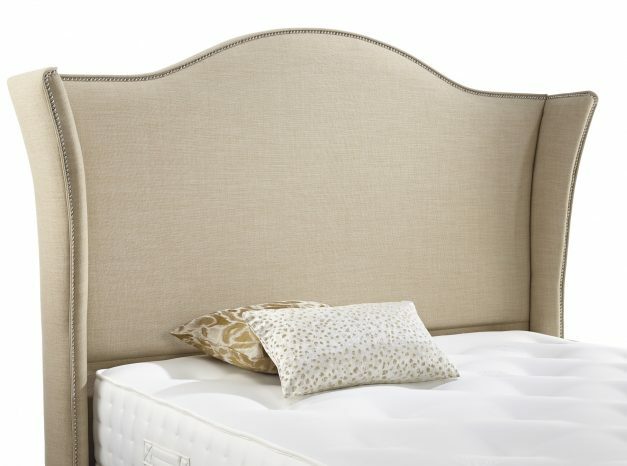 The main image shows a Relyon Regal Headboard and the room set image shows a Relyon Heritage Emperor Divan-Set, crowned with a Regal Headboard. 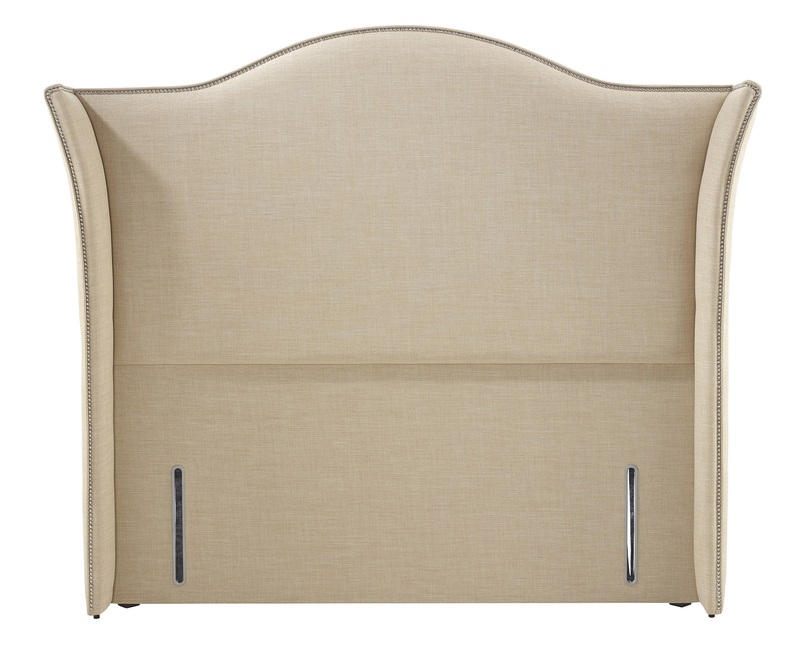 The Relyon Regal headboard is an elegant winged headboard with an upper arch shape, finished with silver studs around the edges.